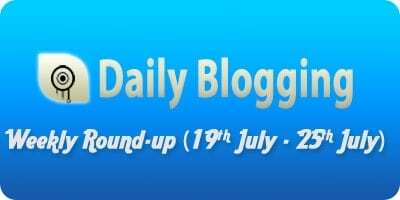 Here I come with another edition of the Weekly Round-up, hoping that you have read the previous round-up, else you missed some quality posts. This week there were some amazing tech news coming our way along with a great achievement achieved by a Legend. Though, I didn’t write many posts but managed to write an article per day. 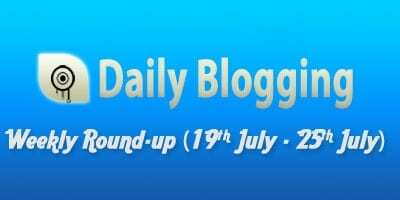 Hope you liked the posts posted this week, have any suggestion or any topic you particularly want me to blog in ? Write in your suggestions as comments! Next PostBillion Hearts Beating : Bloggers take your Pledge Today! Nice roundup. All those posts were nice read too. Great roundup. Very informative posts.